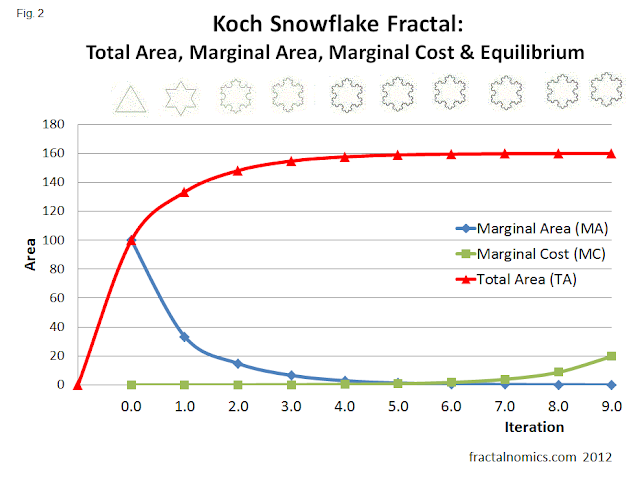 From a fixed view point: all fractals ('attractors') form their shape (are at fractal equilibrium) at and around 7 plus or minus 2 iterations - any more than this will come at too high a cost, and with no extra benefit - as shown in the animation of the Koch Snowflake development above. The 5 iterations to develop the fractal Koch snowflake in fig. 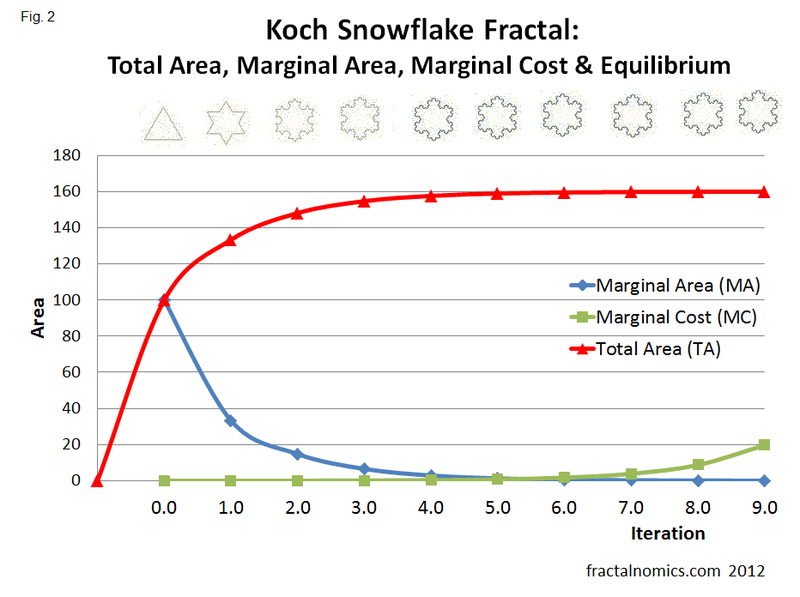 1 (below) - the point where the blue extra (Marginal) area (MA) and green extra (Marginal) cost (MC) intersect, corresponds with where the shape of the snowflake is fully developed. This, I believe, is not only a demonstration but is an explanation for The Magical Number - Seven, Plus or Minus Two, but is also observable through-out our reality. From any stand-point, there will be around 4,5,6,7,or 8 levels of protrusion. For example, from where I am writing, I can see out my window where there is a park and some buildings. The building is the first protrusion, then there is a chimney on the building - 2, then a brick on the chimney -3, then there is, I can just see, an icicle (it is winter) -4. It can be observed everywhere - if you open your eyes. 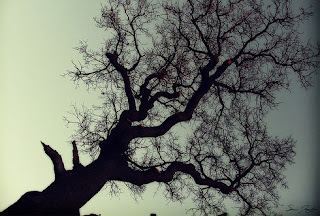 In the image of a tree to the left, if you follow out from the trunk of the tree, until it first forks, then follow that branch until it forks again, and then go on repeating, following the 'first' branch on the branch, until you cannot see any more branches, you will find you can only fork 7 + or - 2 times. Iteration No 6 is the optimal or perfect viewing iteration of the (fractal) Koch Snowflake - from the viewers perspective. I believe it is also the number of iterations, or feedback's, to gain market equilibrium. 6 degrees of separation - between knowing everybody on the earth: I have heard that the reality is around 4 before the link ends, fades away. The food-chain: How many links between the top and the bottom of the food-chain. With whales and plankton, not many, but I have been told the max is 6. After that there is nothing to be gained, and what is comes at too higher cost.